Business man pressing button with set of icons in air. 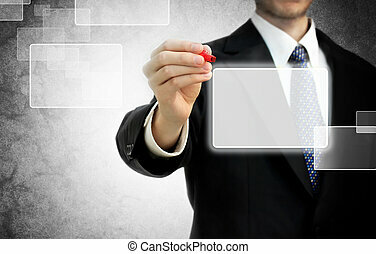 Business man pressing touchscreen button with set of icons in air. Business man touch the ripple icon.A graph indicating growth.technology concept.